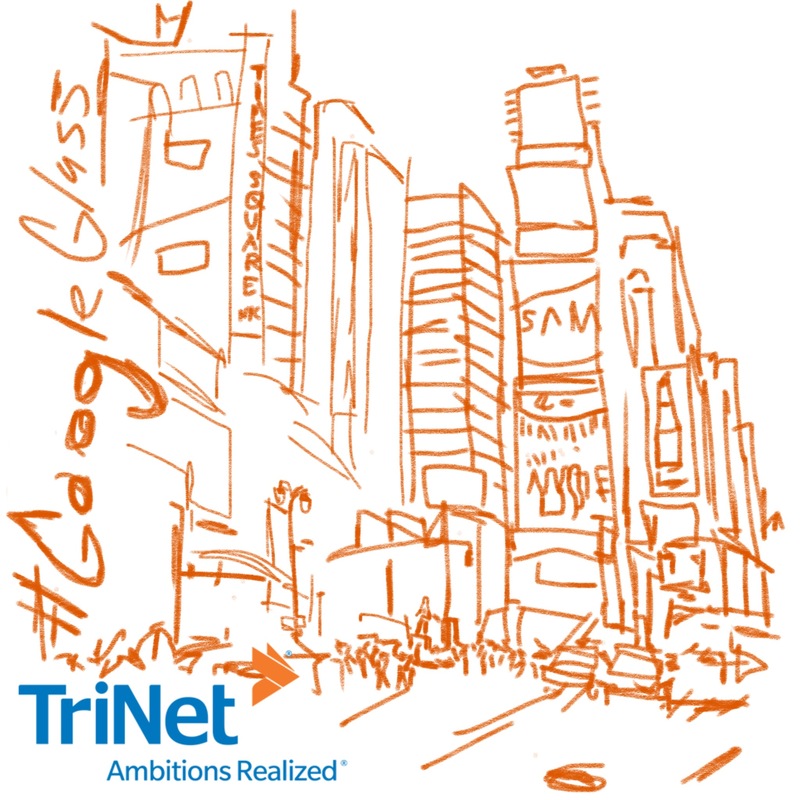 My Google Glass Explorer journey, in partnership with TriNet, started with an early morning flight to NYC from Orlando to visit the city that never sleep (I didn’t get much sleep either getting up at 4 am). 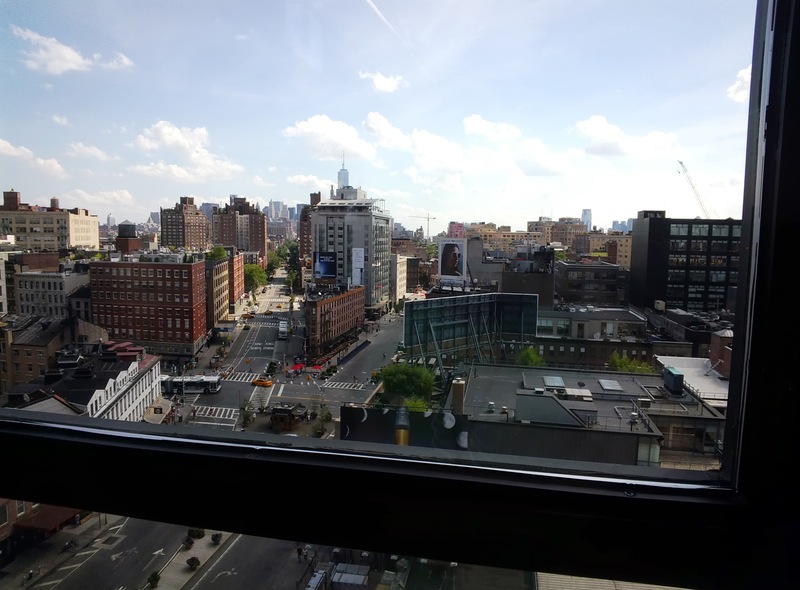 I had a 3 pm appointment with the Google Glass team at Chelsea Market, so I had a few hours to explorer the city on foot before making my way there. Exploring the city is always fun, especially on foot. Seeing all the people, shops, and action taking place around this busy city is an amazing sight. I definitely got my steps in for the day. By the end of the day, I had over 30,000 steps recorded on my Jawbone UP. 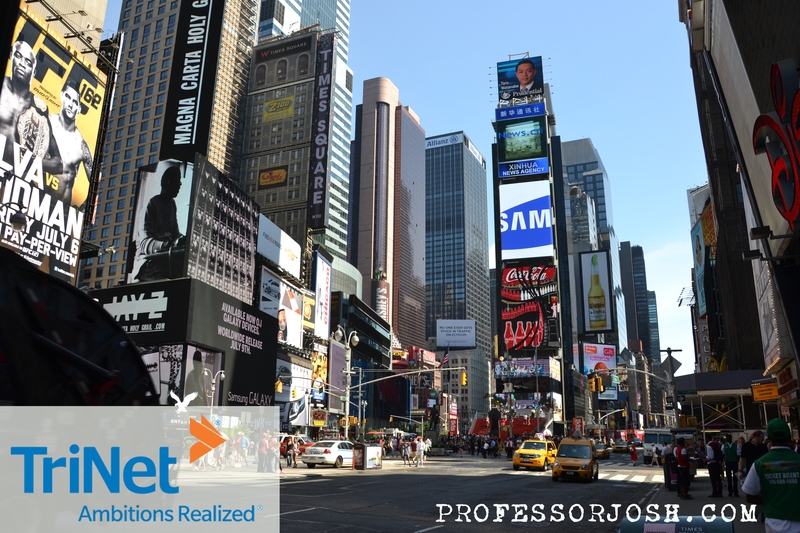 I walked from Grand Central Station to Times Square to Central Park to Chelsea Market for my appointment. I finally reached my destination, the trendy and unique Chelsea Market. I took the elevator up the 8th floor to check-in. 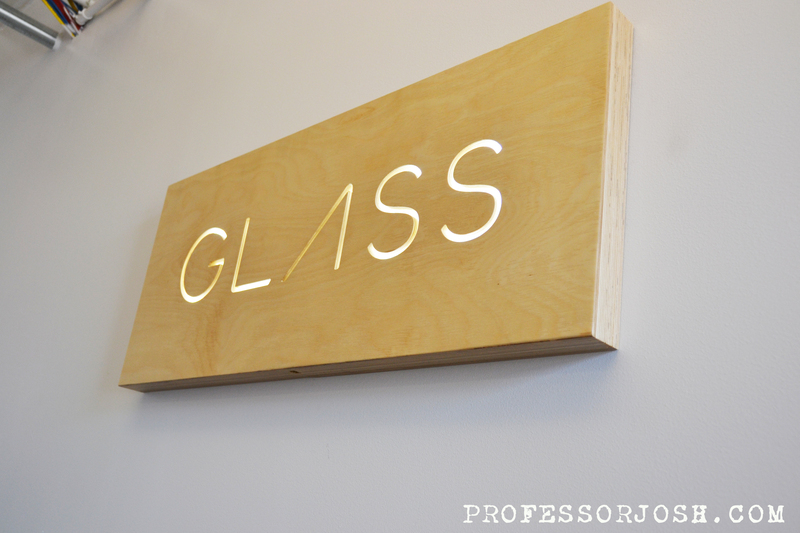 Once you check-in for your appointment at the Google Glass Base Camp, you wait to work one-on-one with an employee to pick your color, get them fitted correctly, setup your MyGlass account, and learn about the various function of Glass. 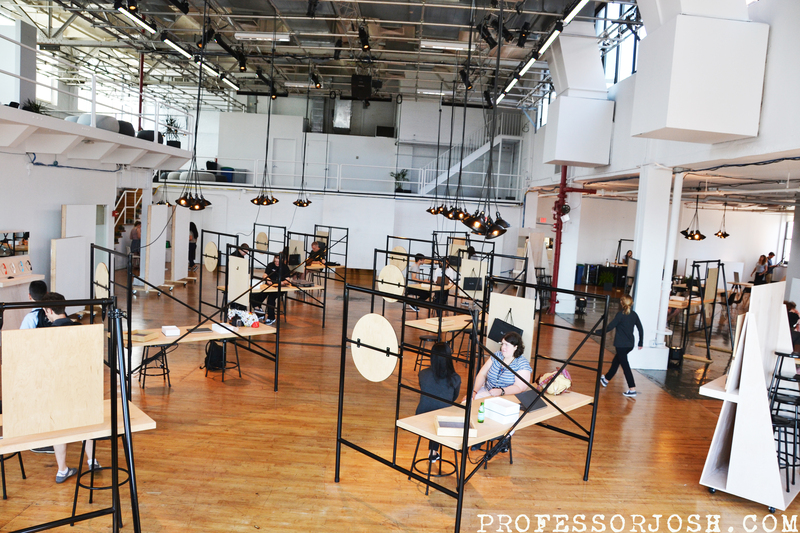 The holiday weekend must have brought new explorers from all over the country to New York City for their appointments. It was very neat to see everyone excited about getting their Glass. Time to select a color. Even thou you submitted a color for your Glass at the time of order, you can still change to another. I selected charcoal (black) originally but didn’t like it as much when I tried them on. I changed my mind and went bright with the tangerine (orange). The color options are charcoal, tangerine, shale, cotton, and sky. Opening the box for the first time, you can tell the quality and amazing design work put into making this device. Only a few slight adjustments had to be made to the noise pieces fitting and the tiny screen at the right angle. 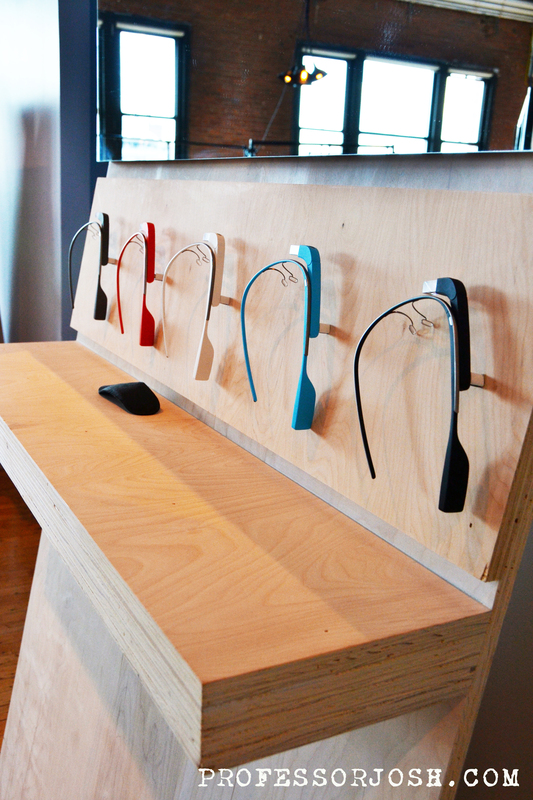 Google Glass weighs 1.28 ounces, which can be lighter or heavier than your usual frames, depending on their build. If you’ve got it adjusted right, Glass feels more or less like wearing a regular pair of glasses, though the right side is notably heavier than the left. It’s recommended to ease into Glass with some strain and discomfort, similar to new glasses. 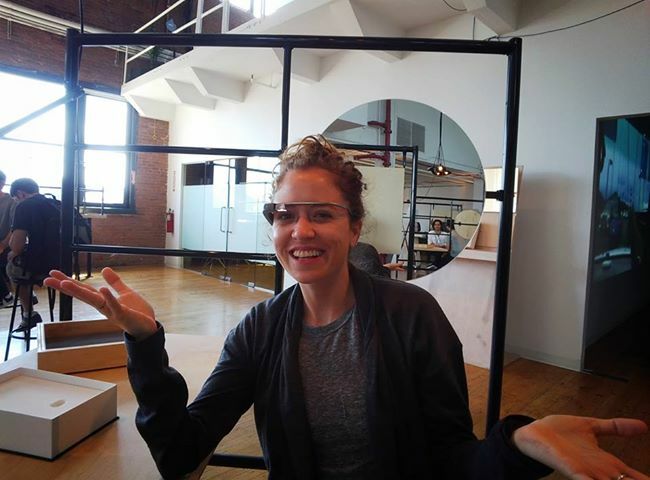 Learning how to use Google Glass with the voice recognition is important, which you trigger Glass by saying “OK, Glass.” The device’s touch pad (on the right side) works in tandem with voice controls. You’ll tap and swipe forward, backward, or down to scroll and back out of “screens” you see in the display. The display is small (0.5 inch) so it helps if you’ve got strong natural vision or corrective lenses. Since the display housing is transparent, it’s easier to read the screen in front of a darker backdrop. I’ll be posting on various function and features in the coming month. My first photo using Glass is of the New York skyline, which I shared on Google+, which are tagged #throughglass. You can see the Freedom Tower in the distance. Image quality is fair. I’m guessing that the convenience factor will be more important in this prototype than actual photographic excellence. 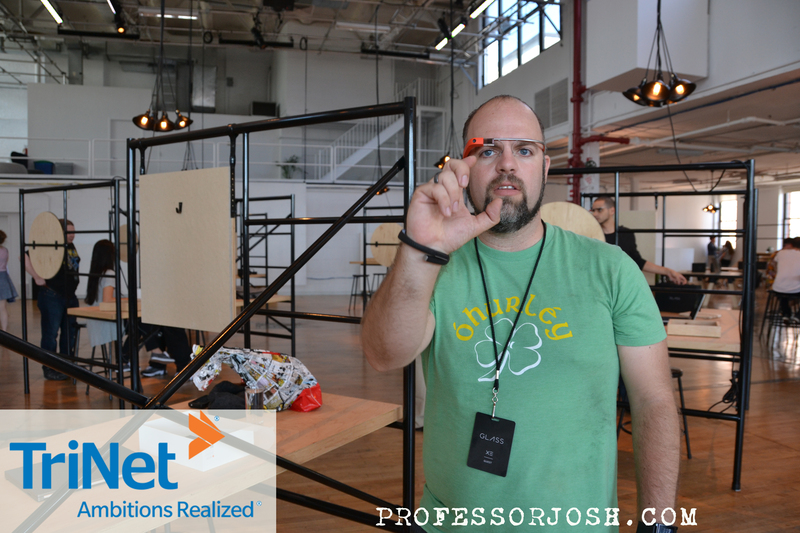 Glass uses a viewfinder only when you give the verbal command. If you press the button instead, you get a chance to look at the image only after you snap the photo. I snap a photo of my Google Glass instructor. She was very patient, answered all my questions, and snapped a few of the photos of me. 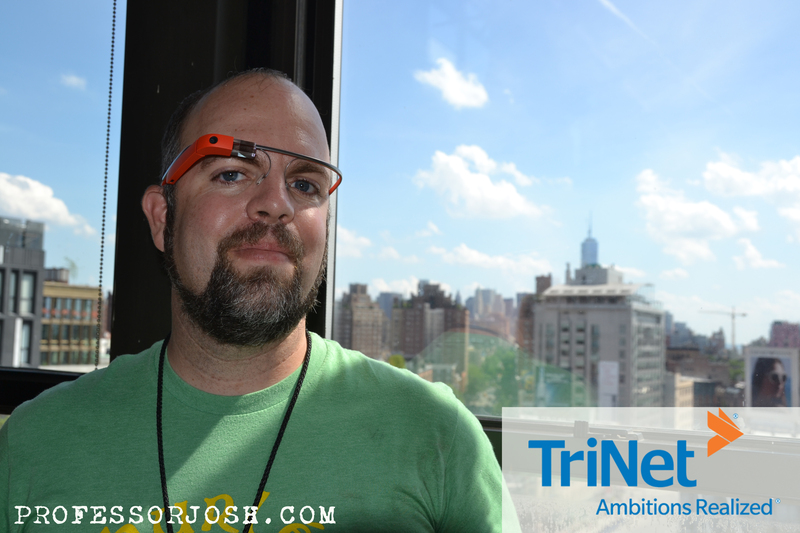 I had to a grab a photo of myself with the NYC skyline in the background wearing my new Glass. Next, I checked out the various accessories, which came with the package. 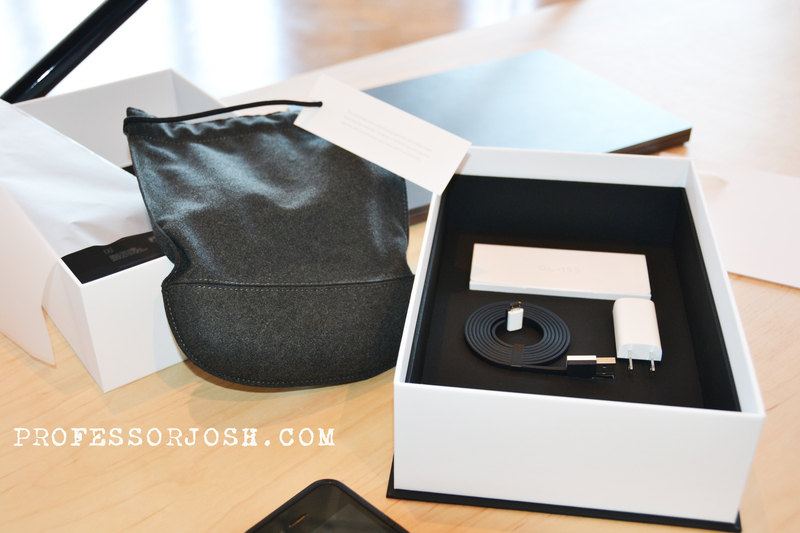 A microfiber storage bag with a hard bottom and a micro USB charger with a power adapter. I also received both a clear and tinted shield to in my Explorer bag, which slide onto the frames. I also started to add on the various services (apps) available to connect on the MyGlass site. Right now it’s limited to Google+. Google Now, GMail, Twitter, Facebook, New York Times, Evernote, Path, Tumblr, CNN Breaking News, and Elle. Hopefully developers are working hard to add new apps to connect. Expect to see lots more posts, tweets, status updates, photos, videos, and more. 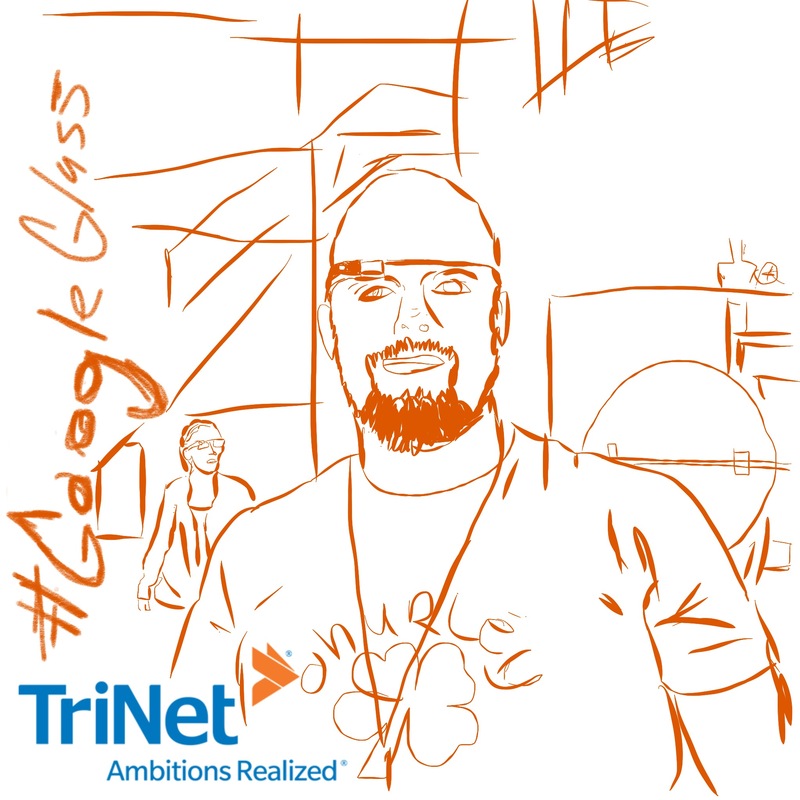 What would you like to see discussed on Google Glass in a future blog post? TriNet is a trusted strategic HR partner to small and mid-sized businesses, providing critical HR-related services on an outsourced basis. TriNet’s solutions help contain costs, minimize employer-related risks, and relieve administrative burden to keep an entrepreneur’s focus on their core business functions. From employee benefits and payroll processing to high-level human capital consulting, TriNet’s Professional Employer Organization (PEO) expertise and best in class systems relieve clients of many of the day to day administrative burdens that distract them from building and growing their businesses. TriNet specializes in serving fast-moving companies in fields such as technology and financial services, who recognize that top-quality employees are the most critical competitive asset. For more information, please visit http://www.trinet.com.